Trip Description: We will meet at 9:30 AM to launch at 10 AM from Cedar Hill Park. We don't want to start earlier because it will be duck hunting season. All duck hunters should have gone home by 10 AM. 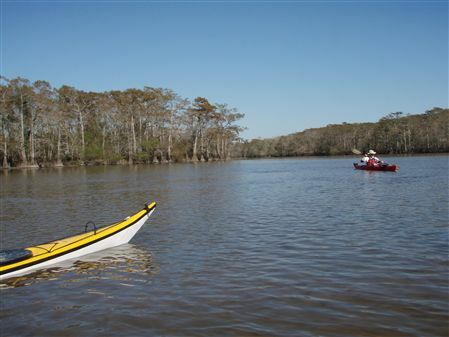 Paddle west to Mac Bayou, then north into Little Mac Lake, on to Mac Lake. On return lunch/rest stop at the cut. We'll paddle back into Lake Charlotte. At this point paddlers can decide to go straight back to Cedar Hill, or proceed south across lake Charlotte to have a look at Mud Lake. This is a beautiful cypress swamp paddle. There are concrete privies at Cedar Hill Park where we launch, but that's it. The lunch stop has some outstanding bushes, trees, and fire ants. Currently non-HASK guests of HASK members are not allowed to register because I cannot figure out how to allow this on the HASK web site However, If a HASK member would like to bring a non-HASK guest, please let me know and I will get them registered. Directions to the Put-in: Our destination is Cedar Hill Park. To get there take I-10 East from Houston about 35 miles and cross over the Trinity River bridge. Continue 4 miles further to FM 563 at exit 810. Turn left onto FM563 (North) and go 2.7 miles to Lake Charlotte Rd. Turn left (West) and travel 1.0 mile to the entrance (left turn) to Cedar Hill Park. It's approximately 45 miles from Downtown Houston. The Lat/Long for the put-in is N29 52.606 W94 43.132. The Google directions are not as accurate as they need to be so take the directions above. Hazards: East Texas critters - alligators, fire ants, wasps, snakes. poison ivy. Lake can get very choppy in a 15 mph wind. Note: The bryozoans are harmless. 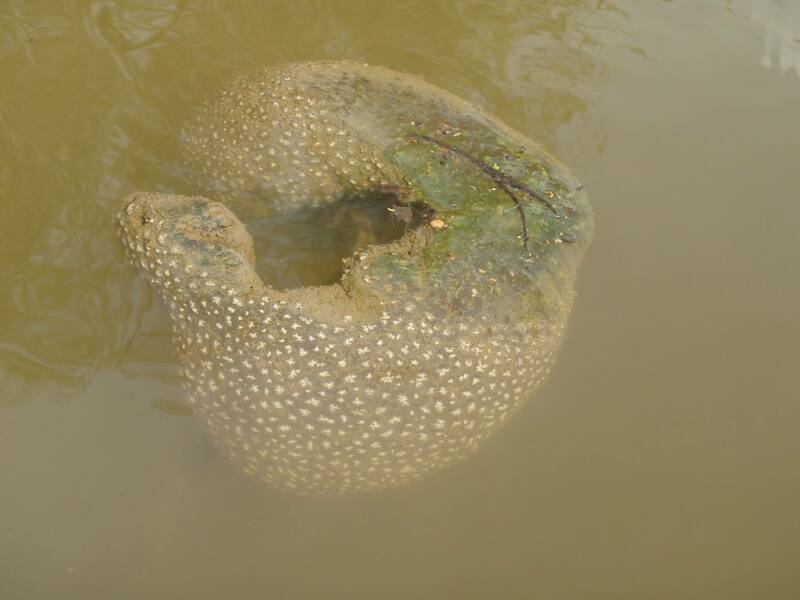 Here's a bryozoan (courtesy Natalie Wiest). Remember, even baby bryozoans are cute and their mothers love them.